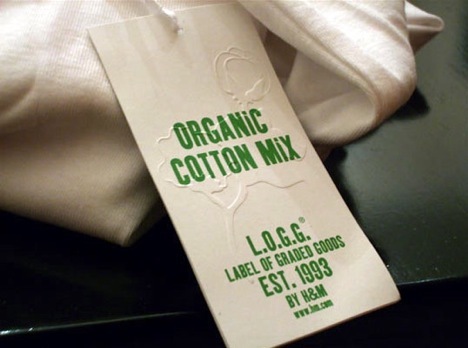 What about using organic fabrics in the carbon footprint calculation? Substituting ORGANIC fibers for conventionally grown natural fibers is not just a little better but lots better in all respects: uses less energy for production, emits fewer greenhouse gases, and supports organic farming (which has myriad environmental, social and health benefits). A study published by Innovations Agronomiques (http://www.inra.fr/ciag/revue_innovations_agronomiques/volume_4_janvier_2009) found that fully 43% less greenhouse gasses are emitted per unit under organic agriculture than under conventional agriculture. A study done by Dr. David Pimentel of Cornell University found that organic farming systems used just 63% of the energy required by conventional farming systems, largely because of the massive amounts of energy requirements needed to synthesize nitrogen fertilizers. Further, it was found in controlled long term trials that organic farming adds between 100-400KG of carbon per hectare to the soil each year, compared to non-organic farming. When this stored carbon is included in the carbon footprint calculation, it reduces total greenhouse gasses even further. The key lies in the handling of organic matter (OM): because soil organic matter is primarily carbon, increases in soil OM levels will be directly correlated with carbon sequestration. While conventional farming typically depletes soil OM, organic farming builds it through the use of composted animal manures and cover crops. If only 10,000 medium sized farms in the US converted to organic production, they would store so much carbon in the soil it would be equivalent to taking 1,174,400 cars off the road. If we converted the U.S.’s 160 million acres of corn and soybeans to organic, we could sequester enough carbon to satisfy 73% of the Koyoto targets for CO2 reduction in the U.S. Converting U.S. agriculture to organic would actually wipe out the 1.5 trillion pounds of CO2 emitted annually and give us a net increase in soil carbon of 734 billion pounds. Paul Hepperly says that organic farming is a no brainer: “Organic farming is not a technological fix, not an untried experiment that could have its own unforeseen consequences.” Instead, it may well be one of the most powerful tools we have in our fight against global warming that brings with it a wealth of other environmental benefits.